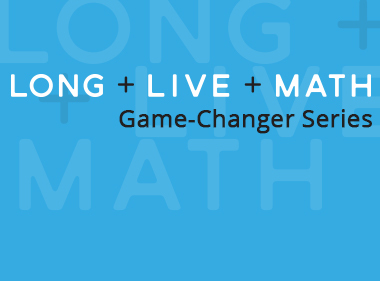 Check out our in-person events, live and on-demand professional learning webinars, and the upcoming conferences where the LONG + LIVE + MATH tribe will gather next. 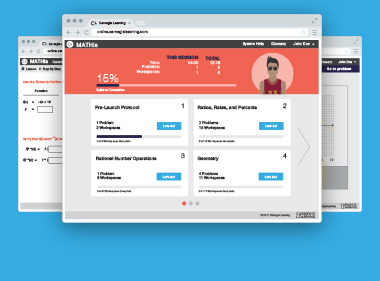 Explore MATHia's new Leadership Reports that are designed to provide quick, easy insight into student learning throughout an entire district, within buildings, and even at the class level. Math anxiety can prevent students from taking risks, exploring mathematics, and reaching their potential. The solution? Making failure cheap. Explore 4 ways to do this with Matt Vaudrey. Believing math myths can lead students to believe that math is "too hard," "not for them," or just plain unattainable. That’s nonsense, and Dr. Bob Hausmann and Amy Jones-Lewis will show you why. Teamwork makes the dream work, right? Sue Hamilton will share one of our favorite activities for building collaboration skills: the Marshmallow Fort Challenge. It’s like Candy Land in a classroom. Teachers, are you ready to get energized and excited about the rest of the school year? Dr. Bernard Frost is bringing some fun energy and truly hilarious techniques to your practice in this session. Dig into the content of the revised 8th grade text. Let’s look at how and why the content is arranged as it is in the revision and talk about how some of the first lessons might be facilitated. Dig into the content of the revised 7th grade text. Let’s look at how and why the content is arranged as it is in the revision and talk about how some of the first lessons might be facilitated. Dig into the content of the revised 6th grade text. Let’s look at how and why the content is arranged as it is in the revision and talk about how some of the first lessons might be facilitated. 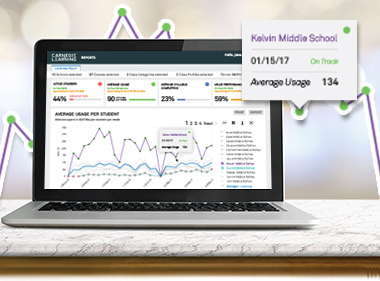 Explore the different reports available, investigate how to use the reports to inform instruction, and discuss how the reports can be shared with students, parents, and administrators. Join us for an overview of the improvements that students and teachers will see in the new MATHia for Middle School and MATHia for High School! Join us for an overview of the exciting improvements to our Middle School Math Solution texts! Explore the instructional design of the lessons and the features of the student and teacher materials. Join us as we speak with Dr. Almi Abeyta, Deputy Superintendent of Teaching and Learning at Santa Fe Public Schools, about strategies that have made a real impact for students in her district. Learn about the new NCSM tool for evaluating 3 Act Mathematical Tasks. Learn engaging classroom strategies that make math meaningful for students. How can we move students beyond memorization? Discover a learner-centered approach that helps students build deep conceptual understanding of mathematics. Learn about the research behind fixed and growth mindset and how teacher and student mindsets can impact student success in mathematics. Are Your Students Ready for Assessments? Learn how to support students as they prepare for PARCC, Smarter Balanced and other state assessments. Join us to learn 5 practices for orchestrating productive mathematics discussions in the classroom. Join us to learn strategies for classroom management, grouping, holding students accountable for their mathematical conversations, and more. Robyn Jackson presents a new model for understanding teaching as a combination of skill and will and explains the best ways to support individual teachers’ ongoing professional development. Let’s explore a variety of online tools and iPad apps for increasing student engagement. Discuss strategies for using classroom walkthroughs to improve district-wide math instruction and student learning. Julia Freeland Fisher will discuss the latest Clayton Christensen Institute research on the growth and implementation of blended learning in K-12 schools. Learn about the research behind Fixed and Growth Mindset in order to make connections between teacher and student mindset and student success in mathematics. Alan November shares tactics for ensuring students know how to self-assess, own their own learning, and more. Join Robyn Jackson, author of How to Plan Rigorous Instruction, as she tackles the challenges of implementing rigor in the classroom. Thinking about going 1:1 or have you already started down that path but still have some concerns? PARCC and Smarter Balanced: Are You Ready? This webinar provides information on supporting students and teachers as they prepare for the PARCC and Smarter Balanced Assessments. Join us as we discuss the characteristics of a productive classroom. Join us to gain some great ideas around classroom management, grouping, grading and a lot more! 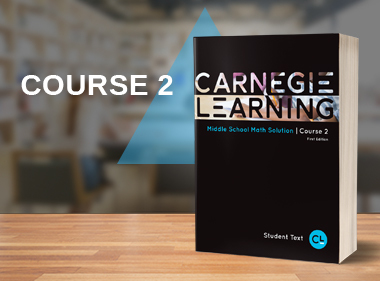 Join us as we present tips on creating and managing an effective Carnegie Learning lab. Explore a variety of online tools and iPad apps for increasing student engagement and achievement! 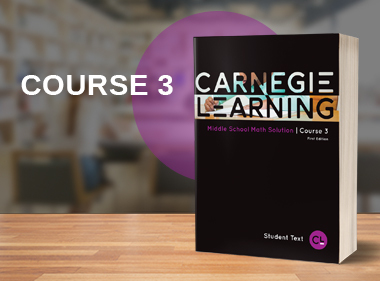 Learn about Carnegie Learning tools to support your students as they work at home. Educators will learn to effectively utilize Teacher’s Toolkit reports in order to guide student reflection and drive instruction. Join us for great ideas around classroom management, grouping, grading and a lot more! Join this webinar to learn about the importance of expanding teacher understanding of math content and their own teaching practices. Explore and discuss the pedagogical and content changes needed to support the math Common Core State Standards. By connecting back to geometric transformations, we can uncover the structure that leads to the commonalities in transformations of the equations and the graphs. Interpret data and develop hypotheses, modifying instruction to improve student learning. What’s the Value of Mathematical Discourse and How Do I Create It? Define and discuss mathematical discourse and its benefit for students in a math classroom. We'll briefly examine what modeling is and what mathematical modeling is and isn't. Discussion on the importance of students understanding probability and random sampling, exploring instructional recommendations using varieties of tools. In this webinar we define a formative assessment, discuss the process and value of it, then look at tasks that help create it for teachers and students in the middle school math classroom. Implementing the Common Core: What Does it Look Like, Sound Like, and Feel Like? Explore different approaches to implementing the Common Core. 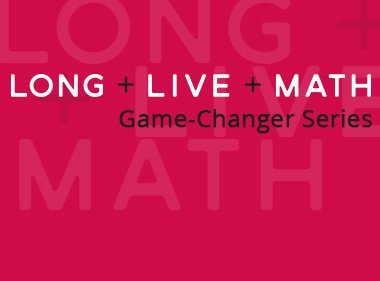 Texas Webinar Series: What’s the Value of Mathematical Discourse and How Do I Create It? We will define and discuss mathematical discourse and its benefit for students in a math classroom. How can educators create, nurture, and maintain an effective student-centered classroom? Educators are gradually redefining the role of the principal from instructional leader with a focus on TEACHING to leader of a professional community with a focus on LEARNING. Receive an overview of the Partnership for Readiness for College and Career (PARCC). 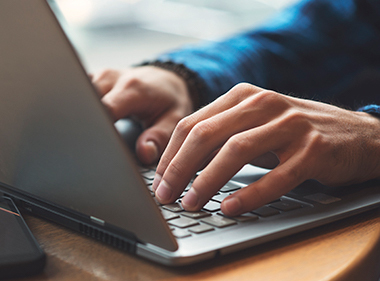 Review the results of the first large-scale study showing effectiveness of education technology, and specifically, a blended learning approach and see how these results were accomplished. 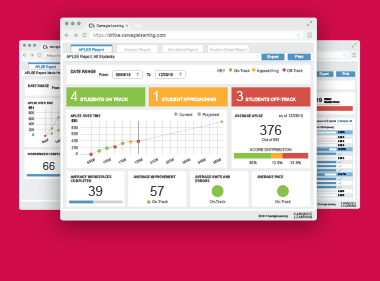 Increase your effectiveness in learning to interpret and apply student data. Foster new instructional strategies that promote thinking, reasoning, and sense making. Examine the urgent need for developing the professional practice of teaching and learning in a Common Core environment. Preview classroom-based professional development supporting the Standards for Mathematical Practice. Be sure to stop by our exhibit with John Rocco! Join us during MCTM for Sarah Galasso's presentation titled, When Literacy and Math Collide: Reading and Writing in Math Class, at at 2:45 p.m.
Join us during NMCEL's summer conference! 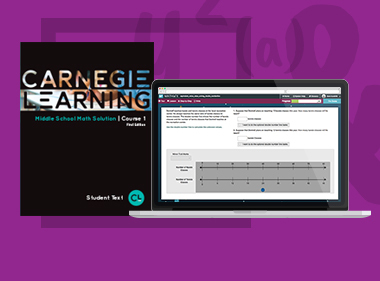 Stop by Carnegie Learning's booth to say hi to our very own Kristin Kurtzman and see what's new.